Tow Truck Insurance Plano Tx — Low Rates and down Payments Available! If you’re shopping for Tow Truck Insurance in Plano Texas or any nearby location you have found the right place. You can reach us by phone Monday through Friday by dialing 1-800-998-0662 or if you find our website after hours on the weekend use our convenient chat system. Pathway Insurance is not only a leading insurance broker offering Tow Truck Insurance in Texas but we are also highly rated by our clients offering seven day per week coverage and service for our policyholders. A shortcut sometimes can be beneficial when you’re traveling and wanting to avoid traffic. Taking a shortcut with your business insurance is not a wise idea because it can lead to unintended results they can leave you uninsured, out of business, or broke. There’s no question that business insurance is expensive, especially when you need Tow Truck Insurance in Texas. In today’s modern age insurance companies are far more savvy than ever when it comes to knowing their customers or future customers. Especially are insurance underwriters efficient when it comes to discerning true new business venture from one that is intentionally set up to avoid past claim behavior that may be preventing a company from obtaining reasonably priced insurance. Example: Junkyard Joey Jaden now owns Stupor Junkers Towing, a company he bought from the seller for one dollar. Stupor Junkers Towing made millions of dollars last year. How did Junkyard Joey come into such a great deal? Was it because of his awesome negotiating skills? Was it due to the fact that Stupor Junkers Towing was in some type of financial jeopardy and he picked up an easy sale because of his shrewd business insight? Or was it because of some other reason? Junkyard Joey’s brother named Seth actually bought Stupor Junkers Towing from his father-in law Billy who died suddenly at age 46 from a sudden heart attack after going through much stress with his business formally called Bills Towing 15 years prior — Bills Towing was in the middle of a few nasty lawsuits, had a number of bad drivers working for him driving his fleet of wreckers like they were extras in a Mad Max Movie. Seth essentially inherited Bills Towing but found himself in a bad spot because he could not get commercial insurance because of bad claims activity so Seth decided to ‘close down’ Bills Towing and open up Stupor Junkers Towing as a ‘new business’ venture. 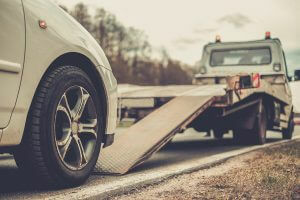 Seth was able to pull off this trick in conjunction with the agent who underwrote Bills Towing in his attempt to preserve his large commission from the former company Bills Towing. You see, Bills Towing was one of the largest companies in the state with a fleet of 200 wreckers. Let’s fast-forward 15 years and Seth finds himself in a very similar situation to his deceased father in law Billy. Seth’s commercial insurance was being canceled because of too many claims, too many bad drivers, and one too many lawsuits all of which his insurance company was required to defend. Seth learned a trick or two from his previous father in law Billy— of course Seth had remarried two times since then and had sharp attorneys that were able to preserve most of the business assets leaving his ex-wives with virtually nothing. Now Seth is in the same boat as his ex now deceased father-in-law. He approaches his much younger brother that everyone calls Junkyard Joey because, well, Joey is a hoarder and never throws anything away— Joey’s not too bright and he is easily manipulated, so now he finds himself the owner of Stupor Junkers Towing, formally Bills Towing, and now Stupor Junkers Towing will be closing and Joey will be reopening the company under a new name. Will this gambit work for Seth who is pulling the strings? We will find out in our next article. Tow Truck Insurance Plano Tx — Low Rates and Great Service! When you need low rates on Tow Truck Insurance in Plano Texas and great service, Pathway Insurance is the company to call! Dial 1-800-998-0662 Monday through Friday to speak with one of our licensed agents. If you find your website on the weekends use our chat system. Online agents are available seven days per week.